The RDF9 USB 3.1/3.0 UHS-II Card Reader with the latest UHS-II interface is here to unleash the high speed performance of a UHS-II SD card, transferring high resolution RAW images and HD videos to your computer just in seconds. In addition, it is backward compatible with UHS-I and any other SDXC and SDHC SD cards. Taking full advantage of USB 3.1 and UHS-II technology, the read and write speeds of the RDF9 are up to 260MB/s and 190MB/s accordingly - 2x faster than a USB 3.0 UHS-I card reader. When paired with a 32GB Transcend's UHS-II SD card, the RDF9 only takes 38 seconds to transfer a 8GB of video file. Besides the SD card slot, the multifunctional RDF9 also boasts CompactFlash, microSD and Memory Stick card slots, offering you to transfer different types of digital files with one compact card reader. Based on USB 3.1 specification. Speeds may vary due to host hardware, software and usage. 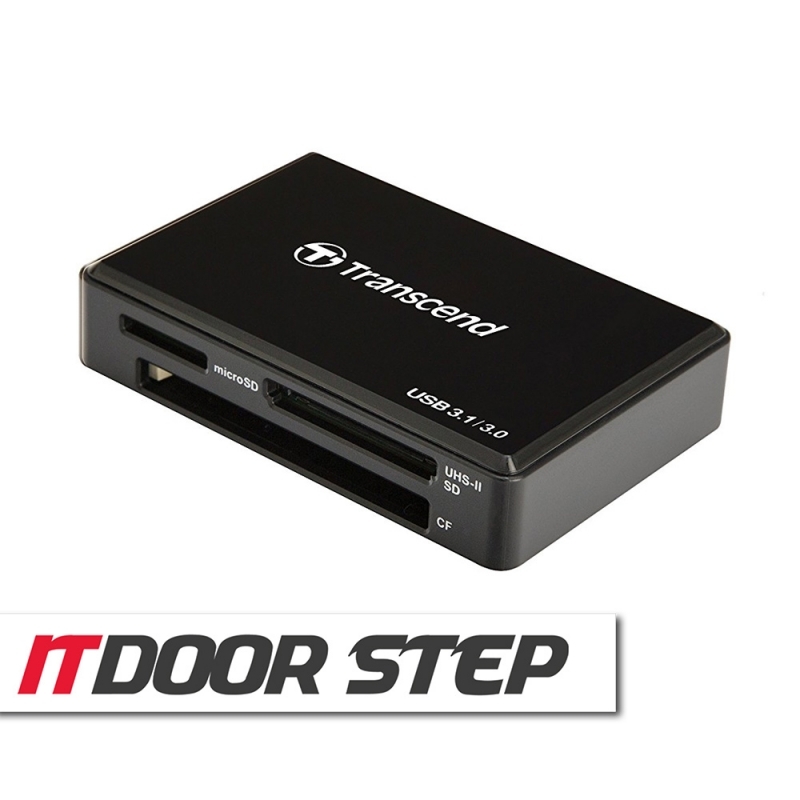 Login to review "Transcend TS-RDF9K USB3.1/3.0 UHS-II Card Reader (Black)"